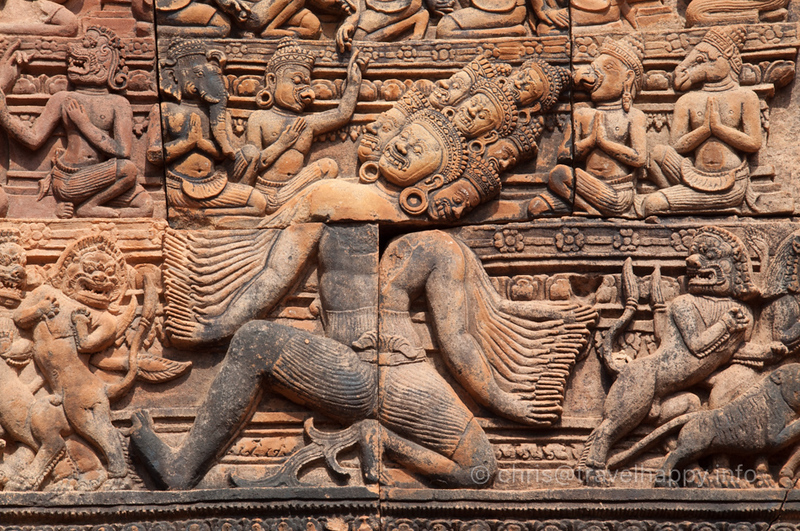 Travel insurance for Cambodia is an absolute must. Cambodia, if you take common-sense precautions, is a safe place to travel but accidents happen. You’ll want to be covered for medical treatment as well as missed flights, theft, and other unforeseen circumstances. We recommend World Nomads travel insurance, but don’t just take our word for it: National Geographic and Lonely Planet endorse their coverage too. World Nomads Travel Insurance is available to quickly buy online, you can choose from different options to suit your trip and its length, and coverage can be extended should you decide to stay longer in Cambodia. Holidays are for relaxing, de-stressing and not worrying about what could happen if…x, y, or z should occur. Buying reputable travel insurance before you go alleviates you of this worry. Make sure you check that the insurance you are buying covers you for the activities that you are planning. While the vast majority of visitors to Cambodia never need a band-aid or an aspirin, the possibility that you might need something more could be a worry. Having travel insurance gives you peace of mind because, should you need treatment, the last thing you need to worry about is how you are going to pay for it. A simple slip, trip or fall could result in broken bones, and it’s so easy to do when you are too busy looking at the sights around you. Cambodia is a developing country and public safety standards might not be what you are used to; accidents do happen. Mosquitoes in Cambodia can carry dengue and malaria so be sure to take all the usual precautions to avoid getting bitten. A bout of dengue or malaria, often means hospitalisation and treatment at western standard international hospitals and clinics can run into thousands. Do make sure you get all your vaccinations several weeks before you travel to Cambodia. It’s important that you take the right coverage for the activities that you plan to do and understand what is not covered by your policy. e.g., scuba diving isn’t always included, and where it is, it might have limitations. World Nomads offers coverage for many adventure activities. While Cambodia offers a reasonable standard of medical care, more severe cases will require evacuation to Thailand or Singapore. Medical evacuation can run into tens of thousands of dollars, having the peace of mind that you are covered for this if needed means that you can concentrate on getting better. Most visitors have an incident-free stay in Cambodia but, if you lose something, you’ll want to know that your things are covered. You should buy travel insurance coverage that includes lost or delayed baggage in case of a problem in transit. A holiday without your luggage is an interesting challenge and knowing you’re covered takes some stress away. Theft is rare, but visitors are warned to be vigilant in Phnom Penh where bag snatching is a problem. Alcohol is very cheap in Cambodia in comparison to the West but fake alcohol is an issue, particularly with spirits. If the price of the drink is too cheap to be believed then the liquor is not to be trusted; find somewhere else to drink, it might cost you a little more, but you will save yourself more than a headache. Counterfeiting also applies to drugs, recreational and otherwise. Stay away from recreational drugs; it’s just not worth it. Take some supplies with you of over-the-counter or prescriptions drugs that you might need. If you find you need something that you haven’t bought, find a reputable pharmacy. Missing a connection can have a domino effect on the rest of your travel and accommodation bookings. Flight cancellations have to be substituted and these can be expensive. Travel insurance coverage for delays and cancellations takes the financial stress out of these unfortunate situations. Cambodia has enjoyed many years of political stability, but things can change. Should government advice warn against travel to Cambodia after you have booked your trip, having insurance coverage to pay for any loss you take during cancelation will help with the disappointment. We hope that your visit to Cambodia is problem free, but we also hope that you take our advice and buy travel insurance to make sure you’re covered for all eventualities.